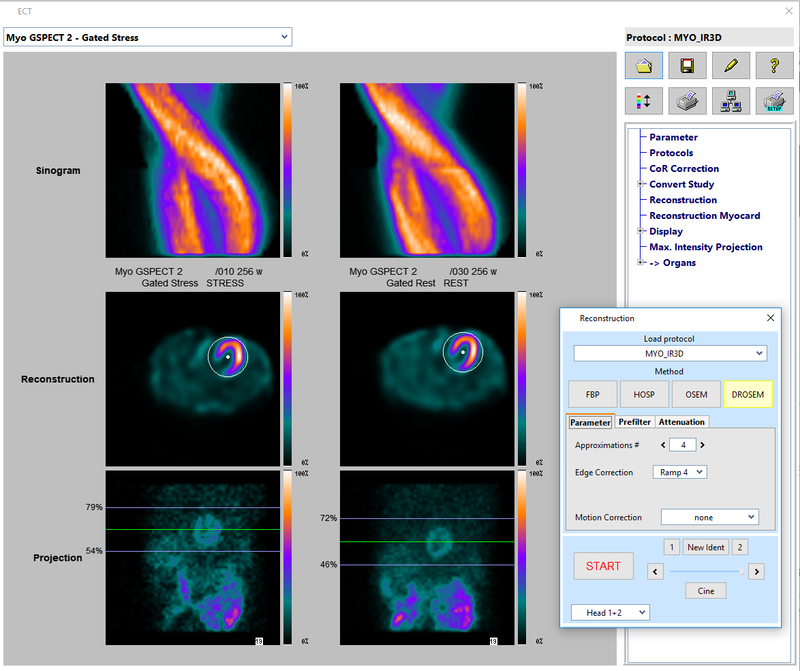 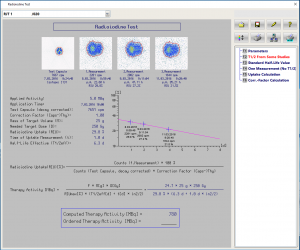 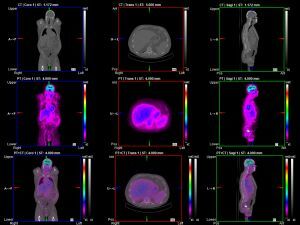 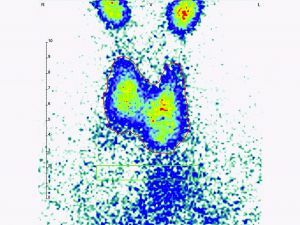 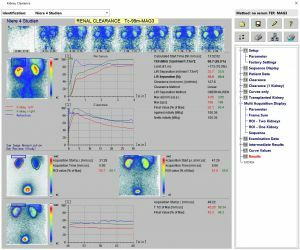 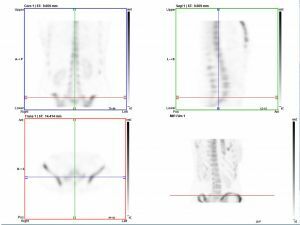 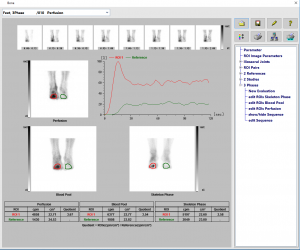 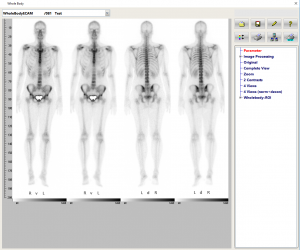 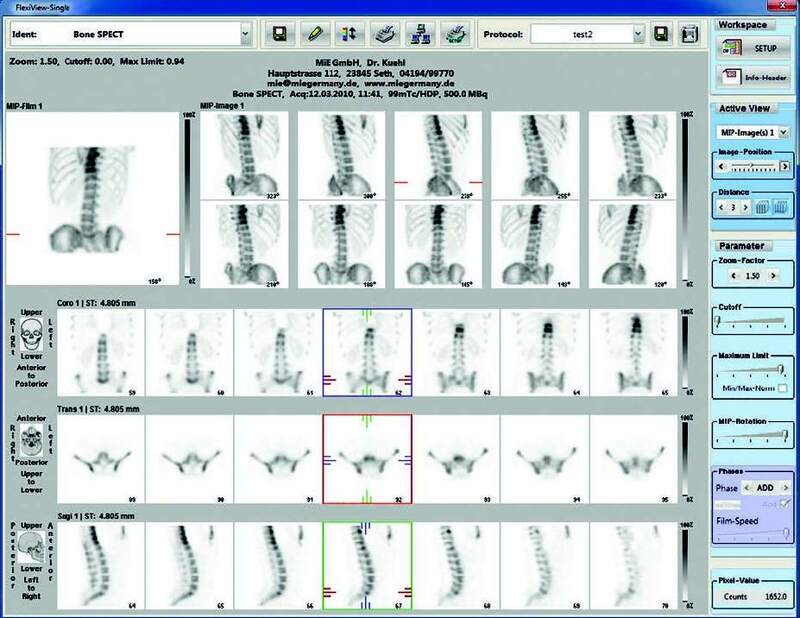 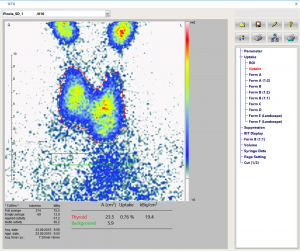 The program provides all needed functions to process SPECT studies. 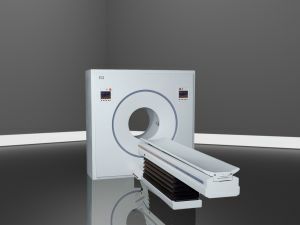 The reconstruction methods can handle gated and non gated studies. 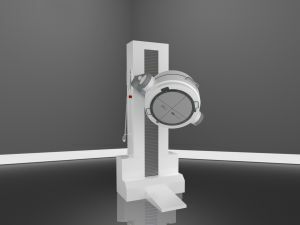 The “on the fly” motion correction during reconstruction improves image quality. 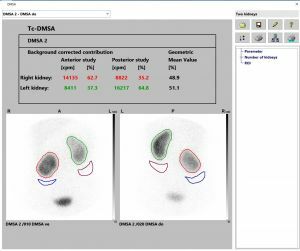 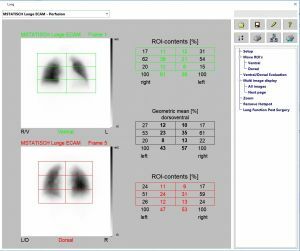 For reconstruction the user can choose between the classic filtered backprojection and the iterative methods HOSP, OSEM and DROSEM. 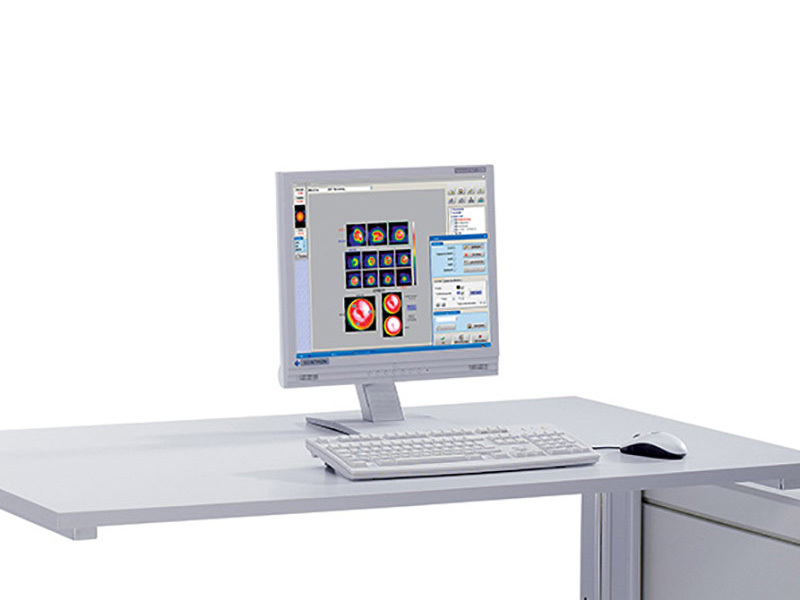 Different prefilter options allow optimum image quality. 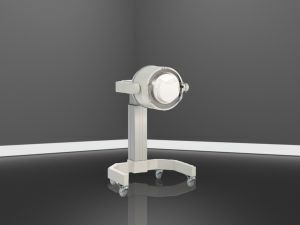 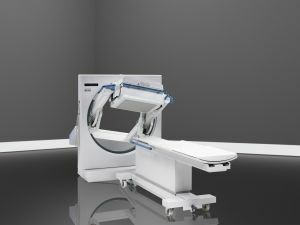 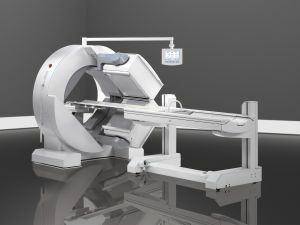 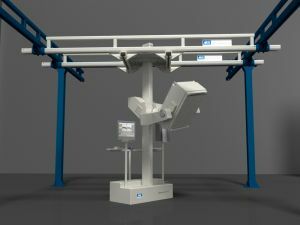 The ECT program contains user-friendly working tools for rotation and 3D zooming. 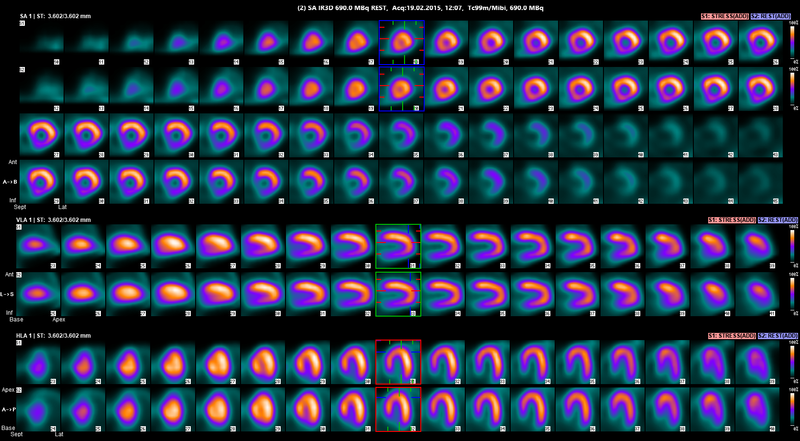 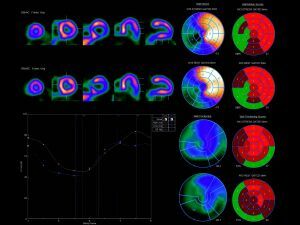 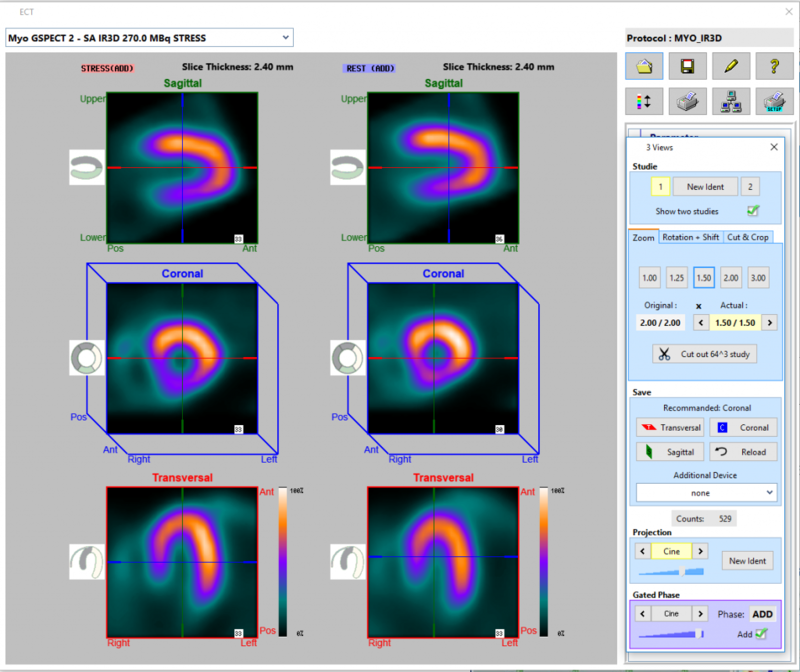 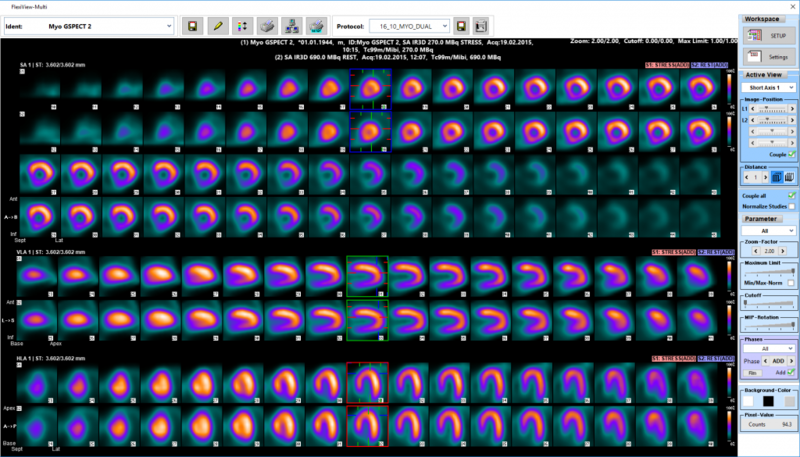 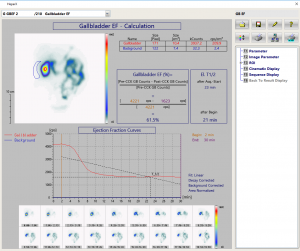 For myocardial studies the program provides an automatic rotation and zooming workflow. 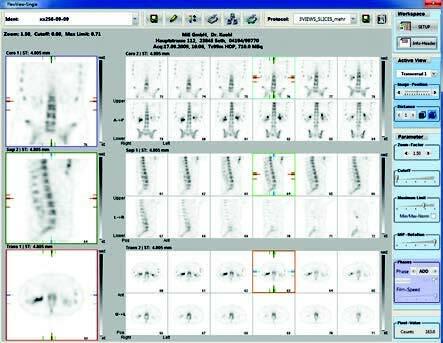 A sinogram and a cine mode are available to control the acquisition data.